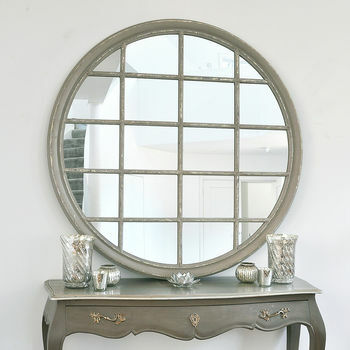 An elegant round statement mirror in a beautiful distressed grey frame - one of the nicest of its kind. 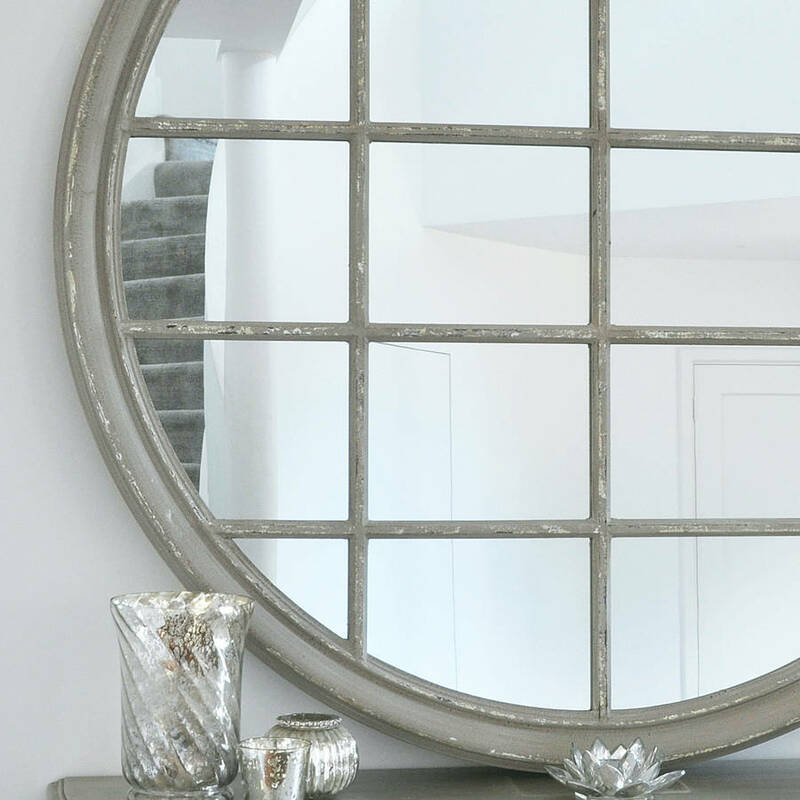 Substantial in size, this elegant mirror will look lovely in a hallway or lounge hung over a console table or sideboard. 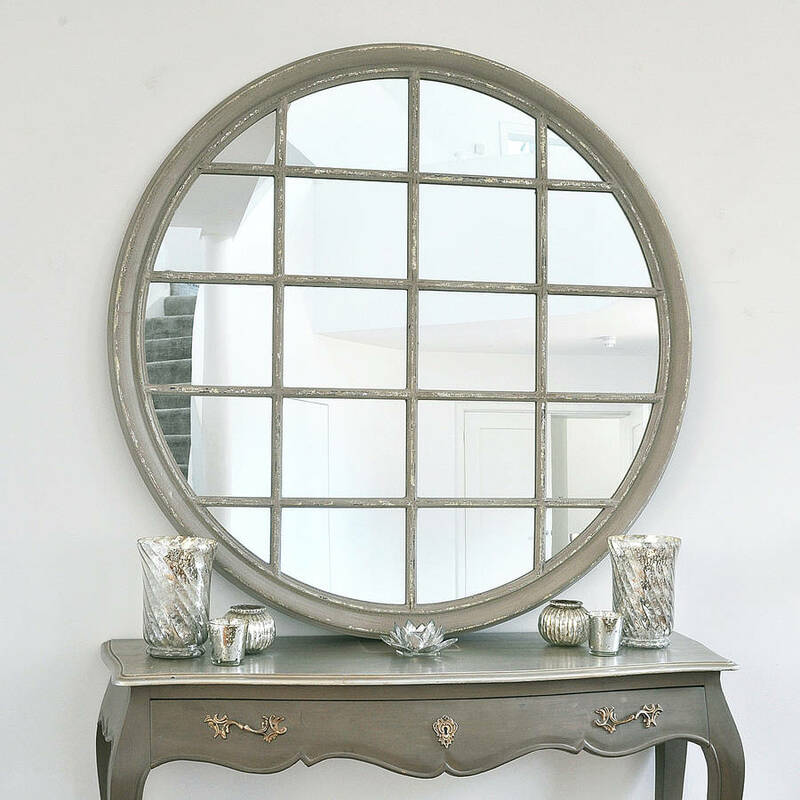 The wooden frame has been painted with a blue-grey finish which has been lightly distressed for an aged appearance. A wonderful example of a window mirror. Fixes with D rings which we recommend are hung over sturdy screws (not supplied) to hold the weight. Wooden frame with a painted finish. This product is dispatched to you by Primrose & Plum.